Does having a smart roommate help you do better in college? Wake Forest University economics professor Amanda Griffith’s research shows the answer may be yes. Griffith’s study suggests it might be possible to increase overall achievement by sorting certain students into their housing assignments by ability level. There was no measurable benefit in either institution when less academically successful women were paired with higher performers. The study found no evidence that high-achieving students paired with lower-ability roommates performed any differently than those paired with high-ability roommates. The effects were most significant between male roommates — and most beneficial for a male, aided, minority college student from a disadvantaged background paired with a high-achieving roommate. 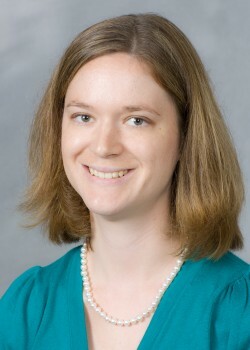 “For example, for first-generation college students with the characteristics of the roommates who benefited most in the study, having a roommate who has done well in high school overall may help with the development of study skills, time management, networking, and where to find and how to use resources such as professors, websites and friends,” Griffith said. The results strongly suggest that general study skills and overall motivation to do well in school may be the primary way that ability is transferred from one roommate to another, not having knowledge of a particular subject of study, such as math or English. Though there were no significant peer effects found between male roommates at larger institutions — perhaps because students at larger institutions spend less time with their assigned roommates — Griffith said the study does suggest that choosing friends with strong academic skills is more likely to lead to a successful college career.